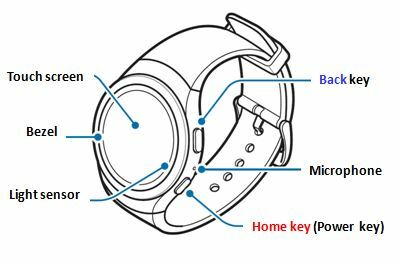 Gear S2: How are the main parts layed out in the device? Press and hold to turn the Gear on or off. Press to turn on the screen. Press and hold for more than 7 seconds to restart the Gear. Press to open the Apps screen when you are on the Watch screen. Press to open the Watch screen when you are on any other screen. Press to return to the previous screen. 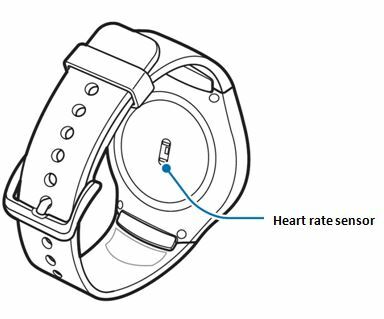 Gear S2: How does the circular user interface and bezel helps to improve the experience?